People used to ask me how I got my jollies, and I guess I'm happy when what I'm doing is helping people and unhappy when what I'm doing isn't helping people. 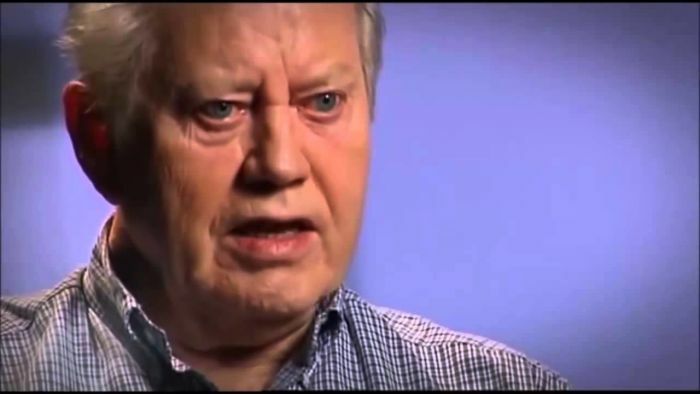 Chuck Feeney is almost certainly the greatest philanthropist the world has ever seen. Over the last 30 years the retail magnate had a single-minded mission: to give away his entire fortune, at one time worth almost R100 billion. Feeney quietly funnelled billions into education, science, healthcare and civil rights in South Africa, the US, Australia, Vietnam, Bermuda and Ireland. Few living people have given away their fortune so completely. Feeney obsessively hid his massive donations. Many charities had no clue where the piles of cash were coming from; those that did were sworn to secrecy. He was, of course, eventually outed by Forbes, but he tries to keep his good work as hidden as possible. To maximise the impact of his donations, Feeney leveraged every dollar he gave away, using the promise of substantial donation to force governments and other donors to match. For more detail; watch "Secret Billionaire: The Chuck Feeney Story" (or scroll down for quotes by Feeney). I don't dislike money, but there's only so much money you can use. It's the intelligent thing to be frugal. I believe strongly in 'giving while living.' I see little reason to delay giving when so much good can be achieved through supporting worthwhile causes today. Besides, it's a lot more fun to give while you live than to give while you are dead. There are restaurants you can go in and pay $100 a person for a meal. I get as much satisfaction out of paying $25.